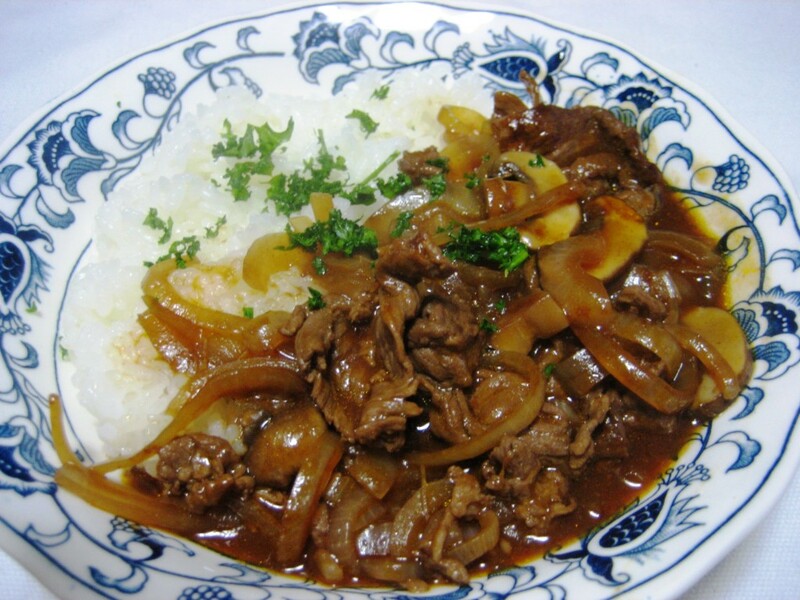 One is that it means “Hashed beef with rice.” Or another one is Mr. Hayashi developed it. Especially, second story is interesting. There are two different Mr. Hayashi. One is a person who was a founder of a famous company and he served it to friends. Another one was a chef of a restaurant and served it for their staff. 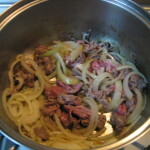 1) Cut beef as size as easy to eat. Slice onion and mushroom about 3mm. Sprinkle sea salt and pepper onto beef. 2) Put a butter in a pan and heat it on middle heat. 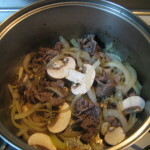 Then fry onion until translucent and put beef, and then mushroom. Fry them together. 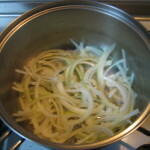 3) Put red wine in a pan and simmer well. 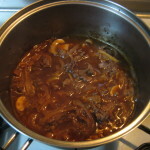 4) Put water, demi-glace sauce and tomato ketchup and simmer on small heat about 10 min. 5) Pour them on top of rice. Sprinkle fine chopped parsley if you like. 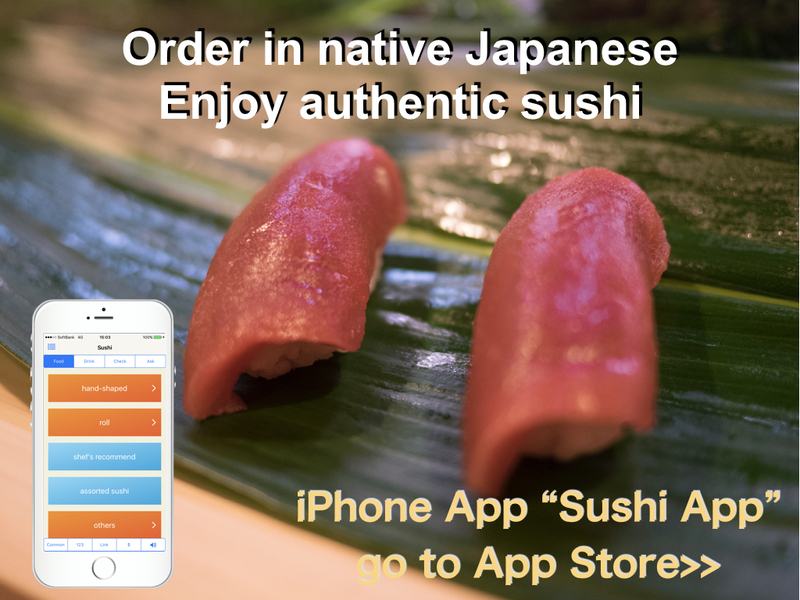 Many “Yoshoku” foods are developed in meiji period when Japan opened country. Before that, Japan closed country for 215 years. Once opened, many culture were imported and foods were typical category. Many of them were arranged as better taste as Japanese people would like. I think the combination with rice is typical approach. We are eating curry rice or “Katsudon (Pork Cutlet Rice Bowl)” still now. I used demi-glace sauce from Heintz at this time. 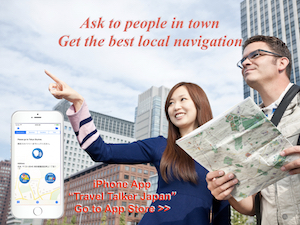 Get the best local navigation. Food in Japan © 2013 - 2014. All Rights Reserved.